Memory Foam vs Spring Beds 2019: Pros, Cons, and Which is Better? Trying to choose between buying a memory foam and an innerspring bed? These are two totally different types of beds but which is best for your needs? We break down the differences in feel and function so you can pick the right type of bed for you. Are you looking for a new mattress but unsure about what materials you should seek out? Mattress companies are very upfront about what they offer in their products, but when it comes to specific differences between materials, the truth isn’t always clear. While some people will prefer memory foam and others will prefer spring mattresses, there isn’t a single material that’s objectively best for everyone. We’re going to explore two of the most popular mattress types, along with who can benefit from them and why. Memory foam was popularized by Tempur-Pedic. The company introduced this material and memory foam beds became a top pick for consumers seeking luxury. Memory foam is a motion-absorbent material that conforms to your body when you lie on it. It cradles your body as you sleep, evenly distributing your body weight and reducing pressure on your joints. This soft, conforming nature is what makes memory foam feel so comfortable for most people. Some may not like the cradling sensation the material provides, though, so keep that in mind. While memory foam was extremely expensive at first, and some brands still are, the competitive mattress market has brought plenty of quality options at affordable prices. Coil on coil mattresses use two layers of coils instead of one. This double layer of coils helps evenly distribute your body weight, but doesn’t have quite as much bounce as single-layer spring beds. Innerspring mattresses use a layer of springs that are interconnected with metal strands, creating a firm and durable sleeping surface. People who want a bouncy bed with firm support will probably like this type of bed, while others may find it too hard. In pocketed (also called individually wrapped) coil mattresses, the coils aren’t directly touching each other. Instead, each coil is separated from the others using cloth or other materials. This allows the layer of springs to conform more to your body, making the bed feel less stiff. In addition, pocketed coils don’t transfer motion as much and may make the mattress more suitable for couples. One important thing to consider when choosing the best type of mattress for your needs is firmness. The firmness level that will work best for you depends on your preferred sleep position and also your body weight. Overweight people will likely need a firm mattress for proper support. Stomach sleepers should also use a firm mattress, while people who move around in their sleep should go for medium-firm. Soft mattresses are best for some side sleepers since this position puts pressure on the hips and shoulders and a soft surface can lessen that pressure. Soft mattresses may also be a good pick for people who don’t weigh very much since they won’t sink in too far into the mattress, which can lead to misalignment in the body. While memory foam beds come in a wide variety of firmness levels, spring beds tend to be firmer, unless there’s a pillow top included or you use it with a mattress topper. 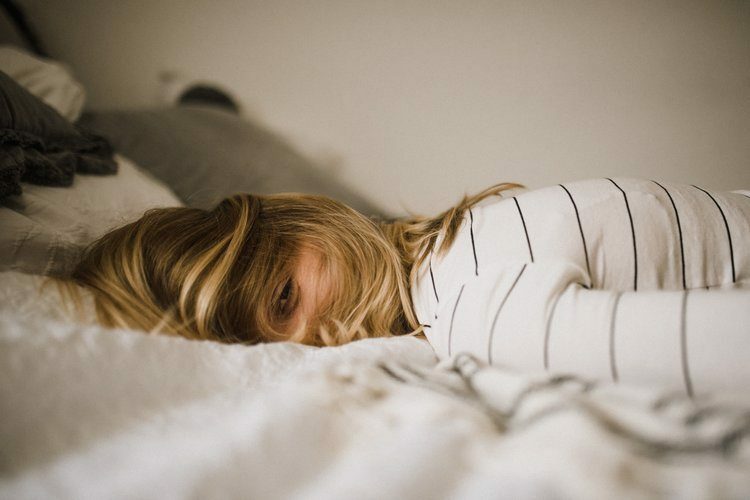 Sleeping at the right temperature is a crucial aspect of good sleep hygiene, so it’s important to think about this before deciding which mattress material you want to select. There are some other factors that will impact how warm or cold you sleep, like room temperature, blankets, and your natural body temperature. Memory foam beds use materials which absorb and retain heat and, for this reason, tend to sleep hot. However, modern mattress companies typically acknowledge this and work to fix this issue by using cooling technology in their memory foam beds. Open-cell foam, breathable covers, and cooling gel are just a few techniques to combat the heat issue. Spring mattresses usually sleep cooler and don’t react as much to your body temperature since the coils promote airflow. With a spring mattress, the sleeper sleeps on top of the bed instead of sinking into it, which also prevents excess heat buildup. Some spring mattresses may still sleep hot, though, if they have additional foam layers without cooling technology added. There are a number of conditions that can lead to waking up feeling sore or stiff, like arthritis or fibromyalgia. If you suffer from back pain, should you opt for a spring bed or memory foam? Again, this comes down to personal preferences and what you need to treat your symptoms. A firm spring mattress usually won’t conform to your body at all, unless it has additional foam layers on top. Memory foam, on the other hand, will create a cradling hug for your body, even if you select a firm model. A firm memory foam bed may help with chronic or temporary back pain, as it will reduce pressure while still supporting your weight. Memory foam mattresses don’t tend to be quite as sturdy or durable as spring beds, but how well they’ll hold up over time depends heavily on the quality and specific brand. If you’re carrying some extra weight, your bed will likely develop impressions or sag in the middle faster, regardless of which mattress type you select. The best course of action for selecting a durable mattress is going with a trusted brand with positive user reviews. Which type of mattress will be most supportive for your body type and needs? Memory foam reacts to your body heat, molding to your curves and cradling pressure points, although memory foam mattresses come in a range of firmness levels. Before selecting this type of bed, you’ll definitely want to make sure you enjoy the sinking feeling provided by memory foam, as it’s not for everyone. People who find one position to sleep in and stay there all night may enjoy memory foam because they can sink in fully and enjoy the pressure relief provided. Side sleepers may also prefer this material over a spring mattress since sleeping in this position concentrates all of your weight onto a smaller surface area (the hips and shoulders). People who move around in their sleep, however, might feel stuck in a memory foam mattress when they attempt to shift positions. This also depends on your weight and the mattress firmness level. Typically, the heavier you are, the more you’ll sink in. Motion transfer is an important factor to consider when you’re choosing a mattress, especially if you have a partner or pets. Memory foam is the most effective mattress material for absorbing motion and preventing sleepers from feeling disturbed by movement. If you sleep alone, though, and also switch positions a lot in your sleep, you might prefer a spring mattress, as the bouncy surface will make it easier to reposition yourself. If you don’t move around in your sleep, a mattress with coils could lead to uncomfortable pressure points, from sleeping on too firm of a surface over time. Mattress shopping is an important part of your general health, so you should choose carefully. Hopefully, this information has helped you narrow down the type of bed you should be sleeping on. Foam vs Spring Mattress Guide 2019: Choosing Between A Foam or Innerspring Bed - Which is Best? GhostBed Ghost Pillow Review 2019: Is This The Perfect Memory Foam Pillow?